Located just under 150 meters from the beach of Timpi Russi in Sciacca, Case Yucca offers spacious air-conditioned apartments, free parking and a shared outdoor area with wooden gazebo, barbecue and a large table that can accommodate from 6 to 10 max. . The apartments are equipped with 1 or 2 bedrooms, divided into five three-room apartments and a two-room apartment, each with a private entrance, living room with sofa bed, TV, Wi-Fi, kitchen and veranda, ideal for enjoying meals outdoors or to enjoy a comfortable and reserved outdoor space. In a slightly detached place, the Casa Yucca barbecue area offers you the possibility to use a common laundry. 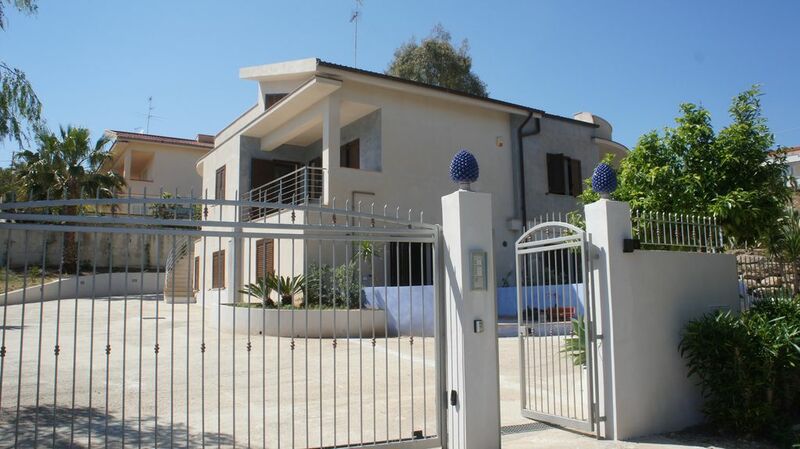 Case Yucca accommodation is located on the south-western coast of Sicily, a 10-minute drive from the spa town of Sciacca and a 45-minute drive from the famous "Valley of the Temples" of Agrigento. For check-in and check-out, guests can inform the property of their estimated time of arrival using caseyucca @ gmail e-mails. com or yucca. Sciacca @ gmail. com or you can use the following telephone number 3204549187.